Much loved and very popular, the Phoenix roebelenii or Pygmy Date palm is in many ways the perfect miniature palm tree, complete with a slim trunk and a beautiful crown of feathery leaves. 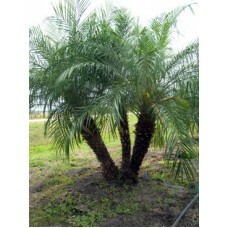 The uses are many and varied: plant the Roebelenii in the warm temperate, tropical or subtropical garden, use the Roebelenii as the perfect house or conservatory plant, or use the Pigmy Date Palm as a potted palm on the terrace during the warm months of summer. Tolerant of both over- and under-watering, the Pigmy Date Palm will even put up with quite a few degrees of frost when mature. 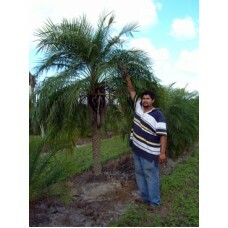 Much loved and very popular, the Phoenix roebelenii or Pygmy Date palm is in many ways the perfect..